One of the first things we tell our media training clients is that they are usually better to front up to issues they are being attacked on. Otherwise, their side of the story will never be heard. This brings up an interesting point that has come to light this week when it comes to government ministers. Campbell Live invited Education Minister Hekia Parata onto the show to discuss the many clear mistakes that had emerged from the Ministry of Education figures on damaged school buildings in Christchurch. Lots of schools had far less damage than the data suggested, and were understandably upset that this could see them closed. From a media training perspective, someone had to front up to explain the situation. The question is, who should that person be? People automatically think the buck stops with the minister, so she must front. But many don’t distinguish between policy and operational decisions. In other words, the government sets the policy and its officials carry out that policy. In this case, it’s the Education Ministry that has carried out the school inspections and counted how many buildings each school has. Clearly there are problems with the data and that will be tidied up during more consultation. The point is that the Education Minister can’t be expected to know why one school is reported to have more buildings or damage than it has. That is the job of the Ministry, or in other words, an operational issue. In this situation from a media training perspective, I would have done exactly what Parata did and hand the spokesperson role for that over to the Ministry. She could make brief comments like “That will all be sorted before we make our decisions,” or “I’ll be talking to ministry officials about why there have been so many mistakes,” but that’s about it at this point. 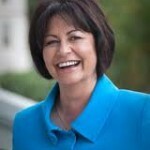 Once it’s all been ironed out and the government announces what schools will close, Parata must be the one to front. That’s because it’s a policy decision and that’s what the government was elected for. It wasn’t elected to walk around in hard hats and count buildings. That’s what I would tell any media training client in a senior political position. Some will say that it’s her ministry, so she’s responsible. This is true to a point. She could comment on the performance of her ministry, call for as review or something. But she can’t be expected to answer operational details like why one inspector said what he did about a particular building or someone counted fewer students than the roll suggests.